What exactly happens in a Divine Angelic Heart Healing Session? You'll receive a 30-minute reading. Carol will activate the Divine Light and hold space. In this time, you may ask questions. 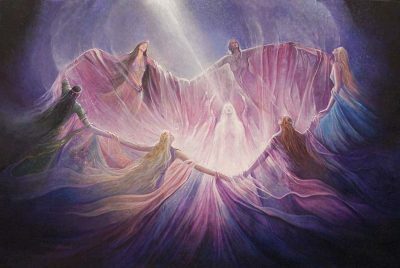 Your deceased loved ones, appointed soul guides, ascendant masters, appointed soul life Angels, and/or Archangels will come through with a healing for your spiritual growth, offering you wisdom and perspective beyond the realm of our 5-sensory world. Carol is a gifted medium and easily taps into the messages you're meant to receive. Energy healing is the next step. You will set your intentions on what needs to be healed or manifested in your life. You then relax comfortably on the healing bed, fully clothed, no shoes. Carol will activate the Divine Energy, connecting your energy field with the Divine Energy field. In DAHH sessions, Carol deepens the experience by immersing you in sound, vibration, and musical frequency, all of which come from Carol's intuitive interaction with her singing bowls, chimes, and vocal sounding. Within the journey of sound, Carol takes you deep within yourself and also gently accompanies you on your soul's exploration. She will also be guided to move her hands around your Chakra energy systems and Aura to remove/release any blocks, so that you will heal or manifest what is needed in your life. Removing energy blocks helps you to see life in a more positive light. You will experience calmness and clearer thinking so you can better navigate your life changes. In a DAHH session, you will feel a deeper sense of wellbeing; a stronger force for your life purpose; calmness; increased circulation; plus greater awareness, happiness, and connection with others. Carol offers Divine Angelic Heart Healing sessions every Tuesday, Wednesday, and Thursday at the Den. She can also provide sessions by phone.